West Indies will take part in a one-day international tri-series with Ireland and Bangladesh, as part of a major international men’s schedule that will see 16 international fixtures being played around Ireland in 2019. 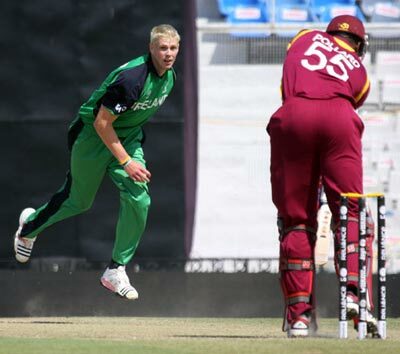 Warren Deutrom, Chief Executive of Cricket Ireland, said: “While 2018 was a breakthrough year in many ways for Irish cricket, 2019 is set to be another momentous year for our sport. Next season we will host five Full Member nations – with a number of the teams having not played here for many years. Zimbabwe’s last match in Ireland, for instance, was in 2003, while a senior West Indies side hasn’t been seen in on-field action in Ireland since 2007. “The international fixtures will begin with England on May 3rd at Malahide, before a one-day international Tri-Series between Ireland, Bangladesh and West Indies to be played across Malahide and Clontarf. Then we move to play a two-match one-day series against Afghanistan at Stormont, before a six-match white-ball series against Zimbabwe to be played at Stormont and Bready. "In all, we will be hosting eight matches in Dublin and eight matches across Northern Ireland. The venues have been chosen to spread the fixture load across our four international-rated grounds - with five matches at Malahide, three at Clontarf, five at Stormont and three at Bready. The configuration of fixtures also allows teams involved in the Tri-Series to all be located in the same city to reduce travel impacts and maximise training and acclimatisation opportunity for those sides as part of their build-up to Cricket World Cup 2019. “This rotation of matches will also maximise our ability to play on new pitches in most matches. The fact though that we do not have enough international standard pitches to provide a new one for every match will give a sense of why the Board was keen to see a fifth international cricket ground constructed at Abbotstown.